Before applying to College Credit Plus, please make sure you meet the admissions requirements in order to participate, and that you have completed the appropriate steps and paperwork. Use this option If you have not previously taken a class through UC College Credit Plus. After accessing your account, start a new application. Make sure to select the year 2019, and then the "2019 College Credit Plus" application. Log in and check your CCP application status after applying. Electronic admissions decision letters will be sent to the email listed on your application. New for 2019-2020! Returning UCBA CCP students do not need to complete a returning student application. 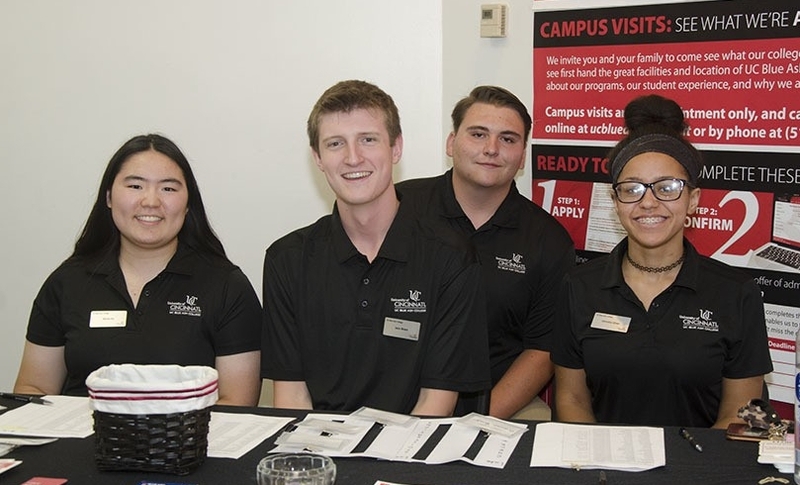 Please continue to check your UC student email account regularly for important information regarding next steps for participation in the program. If you have any questions, please feel free to contact cindy.jones@uc.edu. If you wish to switch your program to another UC campus, please contact the campus you wish to attend. Returning private and homeschool students will receive their letters to submit for funding via their UC student email account. Log in and check your CCP application status. If you are admitted to the CCP program, you will be required to complete academic advising requirements and registration processes. If you are admitted to the CCP program, you must set up your UConnect Student Email Account and check this account frequently for important communication and to-dos. Instructions on how to set up this account will be sent to the email listed on the your application.